1. By selecting this bonus and making a qualifying deposit (see 2.) you will receive up to 203 Spins, available on ALL NetEnt games. 2. This Bonus will only be awarded on your first deposit: for deposits of at least £10 you get 33 Spins; for deposits of at least £25 you get 100 Spins; for deposits of at least £50 you get 203 Spins. 3. The 203 Spins Casino Welcome Bonus will be shown on the deposit page when you click the ‘Select a bonus’ tab. If your deposit qualifies for more than one bonus, all available bonuses will be displayed. Please ensure you select the correct bonus. 4. The Spins will show in the games included for the Spins offer, when accessed in real money mode. 5. In the rare event that the bonus is not automatically granted after making a qualifying deposit, please login to your account again to activate your Spins, or contact us and the Jetbull support staff will manually grant you the bonus. 6. The winnings of the Spins will be transferred to the bonus wallet as a bonus once all the spins have been played, and must be wagered 30 times before the funds are released to real funds. 7. Bonus funds can be wagered on all casino games except; all Video Poker Games; non-live Table Games and the following slots games: Scrooge, Devil’s Delight, The Wish Master, Pearls of India, Tower Quest, Loaded, Thunderstruck, Egyptian Heroes™, Wild Turkey, Lights, South Park™, Jack and the Beanstalk, Flowers, Tomb Raider 2, Castle Builder, Castle Builder II, Dragon’s Myth, Forsaken Kingdom, Untamed Wolf Pack, Untamed Giant Panda, Untamed Bengal Tiger, Untamed Crowned Eagle, Peek-a-Boo, Stardust, Cool Buck, Beautiful Bones, Crown and Anchor. 8. The wagering requirement of the spins winnings bonus must be completed within 7 days, or else the bonus funds will be surrendered. 9. In the interest of fair gaming, the maximum stake allowed per game round when you are betting with bonus funds, is £10 or currency equivalent of £10. Should you bet more than this maximum stake per game round, you agree that your bonus and any associated winnings may be void. 10. Maximum winnings from wagers made with this particular bonus are limited to £1,000, or your account currency equivalent. 11. This bonus is not currently available to customers from countries where NetEnt games are restricted. 12. This offer cannot be combined with any other offers currently running on Jetbull. 13. Unless otherwise stated, General Spins Terms & General Terms for Casino Bonuses apply for this bonus. 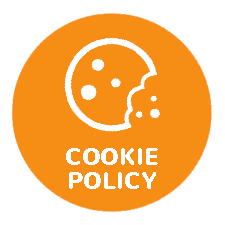 These terms and conditions were last updated at 12:00 GMT 1st of June 2018. It won’t take you long to spot Jetbull’s claim to fame. We’re tempted to just give you about a minute to follow our link and see if you can spot it for yourself. But we won’t do that, we’ll just tell you instead. Jebtull casino claims to have the largest games collection of any site currently in operation. While it’s difficult to definitively verify such a heady claim, they seem like trustworthy folk despite having the word ‘Bull’ in the title. Given that they stock over 1300 games at the current count, we’re certainly struggling to find another online casino that even comes close. So, if you want variety then Jetbull surely can’t be a bad choice of platform, but what else does it have up its sleeve? The Jetbull casino UK site is an absolute behemoth and not just because of their huge range of casino games (we’re mentioning as much as them now). The platform incorporates an extensive sports book alongside the online casino and live casino plus a crapload of lottery games. Given all that, the team should be lauded for creating a refreshingly straightforward website. It’s a pretty moody affair, which actually reflects the brand perfectly (Jetbull is hardly a cute, cuddly name) and the site is largely black with splashes of white and red. It looks smart if not all that friendly. Beyond that, there isn’t too much to note about Jetbull’s visual appearance. There’s certainly nothing to criticise, but there isn’t anything to write home about either. If we were being ultra-critical, we’d say that the player portal could be a little more condensed as it looks a bit chunky. But that’s just nit-picking, Jetbull is a stylish, modern online casino that’s easy on the eye. Registration is a simple process on the Jetbull casino login page thanks to a one-page form. Once you’ve stuck your details in, you click a link in the email that follows and away you go. There’s a link to the deposit function from the Jetbull homepage and you can also access it from your player profile. You can select from a variety of depositing methods including most of the usual suspects. We used a VISA card and there was a little bit of confusion as to whether the payment had gone through. Initially, there was a message saying the transaction was incomplete but after nothing else happened, we refreshed and found the money had been applied. One further word of warning though. You have to claim your welcome bonus and it’s easy to miss the ‘Bonuses’ tab on the payment page. We missed out on ours because of this, although customer service helped resolve it. Once you are registered, you’ll find that Jetbull is a doddle to use. It features some nifty design touches that really impressed us with their simplicity. Firstly, there is a great little filtering system in the games section. You can click on a little logos of all Jetbull’s providers to show only games by that provider. However, you can click more logos to add them to the filter, so if you want to see MicroGaming and NetEnt together, you can. There are also a series of images that let you choose how you want the games to open when you play (full screen, new window etc). That’s a nice bit of customisation. Elsewhere, we love the fact they’ve included a complete list of all RTP rates for every game – how transparent is that! Meanwhile, customer service is quick to respond to queries. They seem to use templates (we could be wrong) to help response times over live chat. They were quick and clear in their response to our bonus queries. Here’s the section of the review that was made for Jetbull Casino Slots. Did we mention that they have the biggest selection of slots out there? We don’t mean to be flippant because it really is an impressive feat and one that should be heavily promoted. They’ve also organised their catalogue really well so you don’t suffer while ploughing through the hundreds of choices, which is definitely a relief. If you’re a serial browser who hops from game to game, then Jetbull simply has to be worthy of your time. One caveat to the 1300 games claim should be shared, however. Depending on your territory, you might well see far fewer games. In the UK, it’s more like 760 games due to operational restrictions. Jetbull, again to their credit, clearly list the restrictions by the provider under a special ‘Game Availability’ tab. I’m sure it saves them lots of questions. Regardless, this is still a massive games selection with over 600 slots in the UK and more for other territories. This includes one of the biggest jackpot collections you’ll find anywhere and they have a sizeable live casino too. You can’t really go far wrong. We loved this casino before we created this site, so reviewing it always seemed sensible. Our long-standing relationship bore fruit in May 2017, when we received a jolly little email offering us an exclusive welcome bonus that we could share with our readers, the Jetbull no deposit bonus. The boosted bonus includes no deposit free spins. It also incorporates 100 free spins alongside a 100% first deposit bonus up to £200. There’s nothing wrong with Jetbull’s standard bonus (it’s a 100% bonus up to £150) but it’s nowhere near as good as the exclusive. That makes us happy, and we hope you enjoy it too. The standard bonus we promoted up until now even included higher wagering requirements (x40). Our 10 exclusive no deposit free spins are subject to x30 wagering and credited to your account automatically, as long as you follow one of the links from this very page. You’ll land on a special bonus page, where you can read all the terms and conditions relating to your bonus. As soon as you’ve registered, the free spins on NetEnt’s Hansel & Gretel will be waiting for you. There’s even better news when you make your first deposit too. Not only can you pocket a 100% bonus up to an increased £200, but you’ll have another 100 free spins to play with. This lot can be used on any NetEnt game, giving you the perfect opportunity to sample the much vaunted Jetbull games catalogue in some detail. 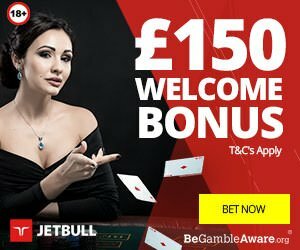 WHY BECOME A REGULAR PLAYER AT JETBULL CASINO? If the huge selection of games doesn’t tempt you, there are a host of other reasons to make Jetbull a regular hangout. Their promotions page is always busy – perhaps even a little too busy at the time – with a hotchpotch of free spins offers, cash bonuses, prize giveaways and other offers such as their ‘refer-a-friend’ scheme. They always nominate a game of the month and share extra treats on it as well. Customer support is swift and friendly, although only available between 8am-10pm. It’s a secure site, which earned UK license in 2015 having long held approval from the Malta Gaming Authority. With the two most respected regulatory bodies behind it, you can hang your hat on Jetbull’s trustworthiness. Not only is the casino fully optimised for use on Android and iOs smartphone and tablets,Jetbull casino mobile is fond of offering special bonuses to its mobile casino players. It’s clear that they want to attract players who like to carry their casino games in their back pocket, handbag or manbag. When you first load up the site, you are asked to select the casino, sports betting or live casino. The increasing popularity of mobile gaming has seen a huge increase in the number of games available for iPhone, iPads and tablets. Of course, Jetbull’s devotion to game choice is extended to the mobile casino, which has hundreds of games in stock. Unfortunately, they haven’t quite managed to replicate some of those snazzy filtering systems from the desktop site but so your browsing options are more basic. There’s no denying that Jetbull’s mobile casino, as good as it is, does lack some of the functionality of the main site such as live chat. But it’s still a good place to play games on the go. We are finally at time of our Jetbull casino review to deliver our verdict. Jetbull are quite right to promote their huge games selection so fervently. They’ve worked hard to create a catalogue that provides players with unprecedented levels of choice, even taking certain territory restrictions into account. However, it’s important to note the other qualities that make this such a great online casino. Sure, its appearance isn’t very noteworthy but it has some great UX features on desktop site and a huge appetite for promotions and bonuses. The mobile site is good but has a wee bit of catching up to do. We’d like to see a few more functions replicated for small screen players. Overall, however, this is a trustworthy, richly varied and intuitive online casino that gets the 777 Casino seal of approval. Now, thanks to our exclusive welcome bonus, you can try out this famous online casino for free as well. What do you have to lose? Jetbull has a massive collection of over 900 games from the best software developers in the business. There are over 500 video slots, a large selection of virtual table games and a good selection of video slots.